Colorado has hundreds of community food programs throughout the state that deliver fresh food and meals to thousands who are struggling with hunger. Feeding America reports that 627,840 people struggle with hunger in Colorado and almost 200,000 of those are children. Some food distribution programs in Colorado provide mobile services, delivering fresh food in refrigerated units to communities that lack access to grocery stores, and hot meals to children and senior citizens who might otherwise do without. Some food programs are also advocating and assisting with community gardens, where residents learn to grow their own food. Hot meals are prepared then delivered. Programs feed children all year long, especially when school is not in session and children don’t have access to school lunches. Fully equipped mobile kitchens change the dynamic of these programs by preparing and serving hot meals on location. When there are multiple locations to serve, meals can be prepared closer to the delivery times and kept fresher in transport. Mobile kitchens are equipped with stove, refrigerator, and electrical systems that can be connected to a power supply. Propane and generators can supply power to more remote areas. CMK designs all of the company’s mobile kitchens and refrigerator/freezer units to the highest commercial and health standards. Feeding America reports that nearly half of the food produced in the United States goes to waste. Food preparation and nutrition classes are beginning to be offered by many community programs, but these programs are limited by access to community kitchens where proper food handling and preparation can be taught. 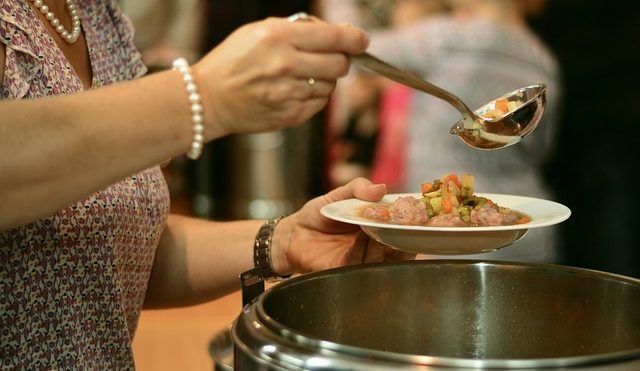 These kinds of classes are important because education helps prevent food waste. Colorado mobile kitchens from CMK take the classes into the communities that don’t have adequate access to a community kitchen. Everything needed for the classes is already in the kitchen, including utensils and food storage supplies. More people are able to participate and learn how to preserve and prepare nutritious meals from the food they receive, or harvest from community gardens. Colorado provides resources to help start or expand businesses that will improve access to healthy foods in low-income communities. Many low-income communities lack access to grocery stores and depend on mobile services to deliver food to them. A Colorado mobile kitchen is a key component in the ability to reach into communities with essential food services, including food education programs. Give CMK a call today for more information about how CMK mobile kitchens can help you start or expand your food service business and help eliminate hunger throughout the United States.